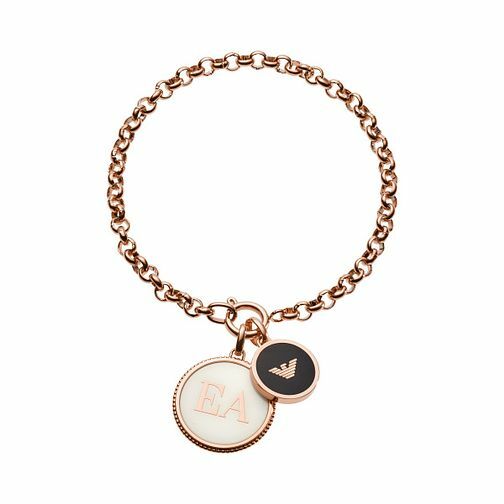 Emporio Armani present this classic rose gold chain bracelet, featuring a pair of round charms proudly displaying the Armani initials and eagle. A sophisticated stylepiece versatile for all outfits, day or night. Emporio Armani Rose Gold Tone Caged Logo Chain Bracelet is rated 5.0 out of 5 by 1.